I’m always looking for quick and easy ways to create a personalized gift. 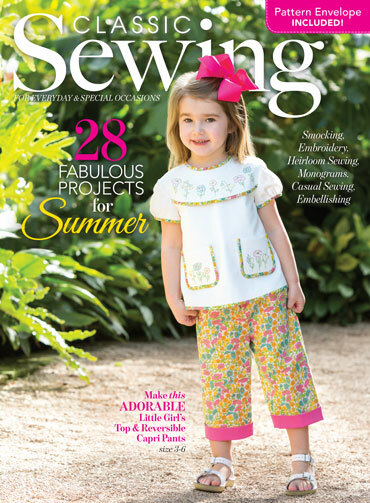 In the new summer issue of Classic Sewing Magazine, there is a fun appliqué project that is perfect for those occasions. Appliqués are a wonderful way to embellish anything from a cloth purse, to a cozy pillow, or even a plush blanket. In this Summer Fun project, designer Debbie A. Homer-Hofhines embellished a cloth beach bag and matching beach towel. All you have to do is make the freestanding appliqués and then apply them to your gift of choice! I just adore this sweet set and can image anyone from young girls to mature women enjoying this gift. These appliqués are easy and fun to play with; you’ll love to create the perfect match to accent your fabric choice. For summertime, try using vibrant hues, while reserving rich warm tones for fall. You can even get inspired for the holiday season with reds and greens. It’s fun and easy! 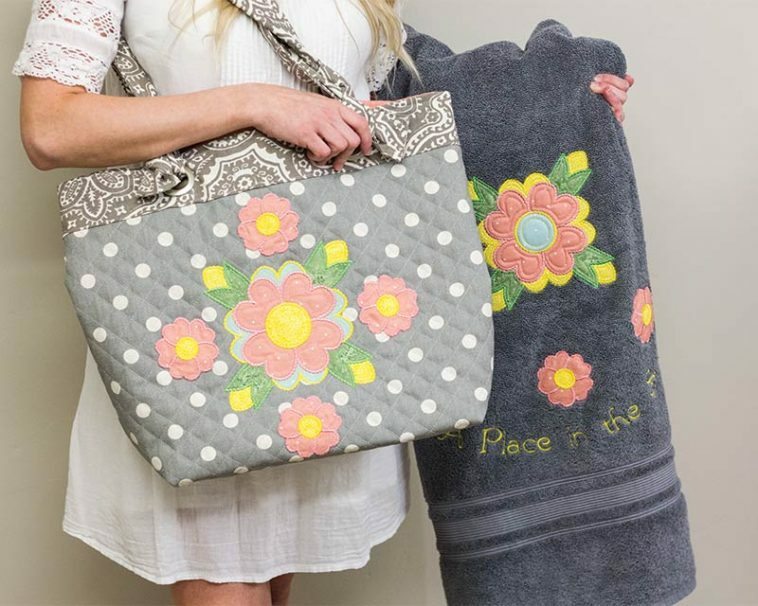 Directions for making the Summer Fun Tote and companion Summer Fun Beach Towel can be found on the Classic Sewing website. For the free-standing flower download provided by RNK, simply click the link, register and download this charming design. What is your favorite personalized gift? These are so beautiful! I want one, two, three of each to keep and give to my sisters! One can always use another tote ~ nice to receive any personalized gift! This is such a wonderful, personal gift. Whether you make the tote, or buy one, adding a touch of your heart to it makes it a special gift for someone you love. Thank you for this brilliant idea.